Happy Monday everyone, I hope you all had a wonderful weekend gearing up for Christmas! 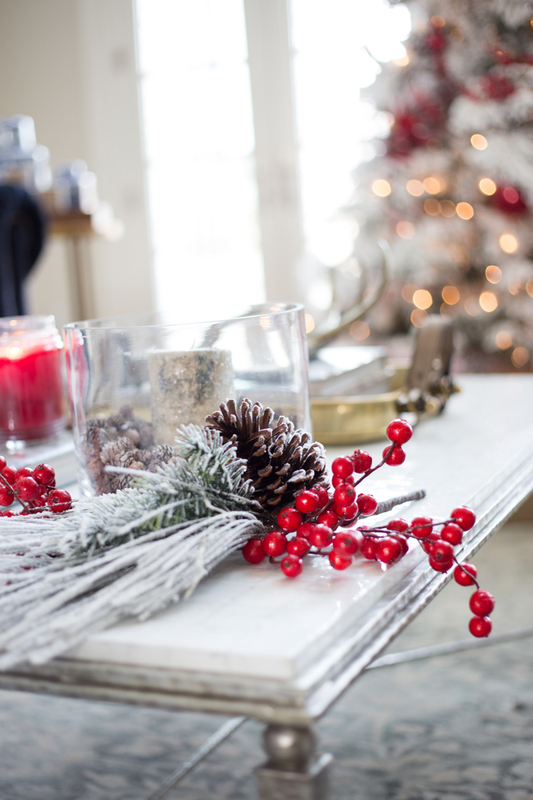 Last week I was thrilled to have my home for the holidays featured on Style Me Pretty Living. This Christmas marks the first year where Drew and I could actually decorate our home for the holidays. In years priror, we were either in the process of building or traveling with family so it’s been really exciting to finally purchase our first Christmas tree! I wanted to select ornaments and decor that had a classic and timeless Christmas feel so I can re-use it all for years to come. I love how it turned out and how it’s brought the most cozy and inviting feel to our home (I’m wishing I could leave it up all year long). Omg it looks so beautiful! This almost looks like a modern version of santa’s home :D LOVE IT! I love the red sweater but it does not look like the j crew picture . What is the one you are wearing? 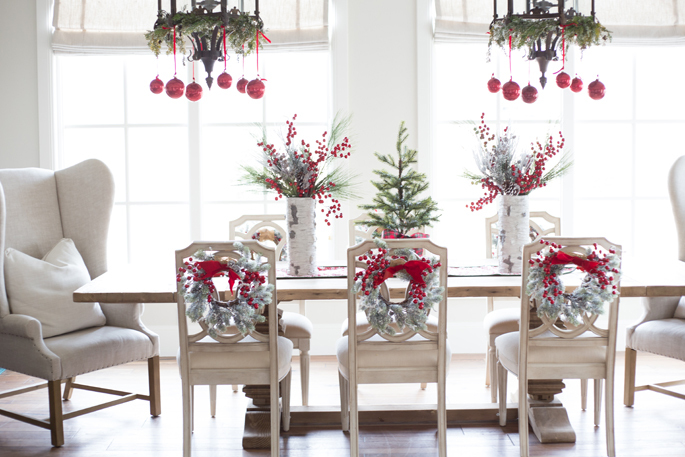 Your festive home looks gorgeous!!! Happy Holidays! What a beautiful home! I love the decorations! 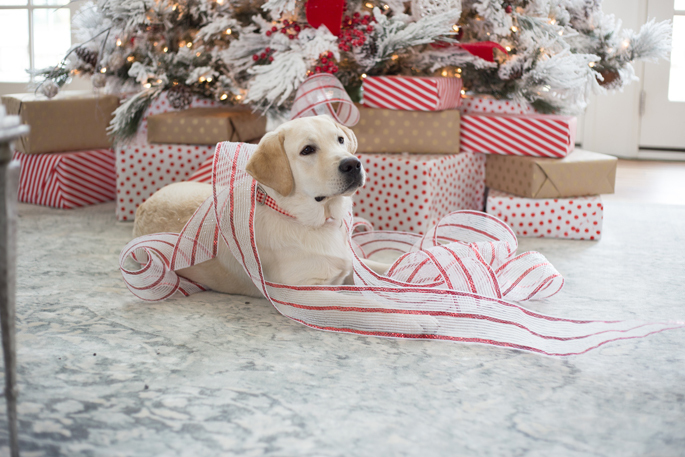 I’m the same way, I wish my house could stay decorated for Christmas all year long! Glad you and Drew are now at a time and place that you can decorate for the holidays in your home. I had been living in Africa the past 3 years so i complete understand. Anyhow, your home looks magazine perfect. (BTW – that is probably the most beautiful Christmas tree I have ever seen). OMG, I love the chairs! This is so lovely! I love the frosted look with the reds! Too pretty! looks so cozy and festive! Oh my… This is such a gorgeous Winter and Christmas wonderland!! Love all of the decorations! Love this post! 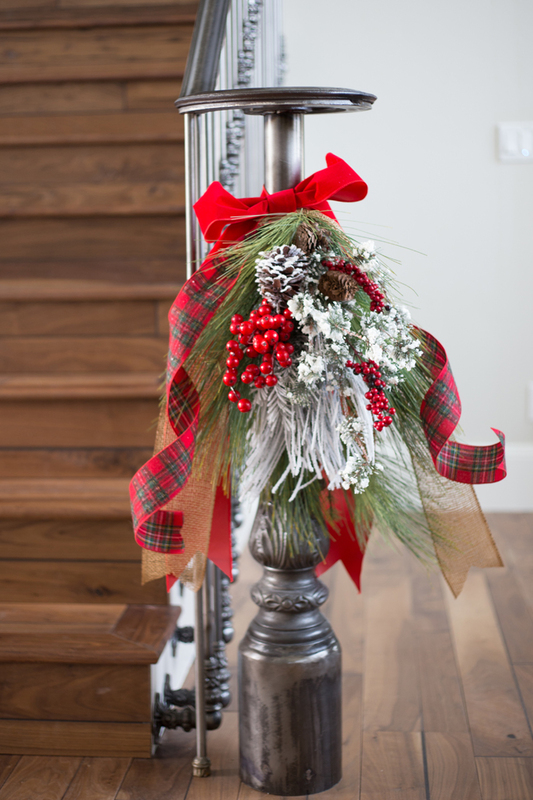 you have a beautiful home, and I love how festive you have made every room! I hope you have a beautiful. Christmas! Your home looks very festive and welcoming. I love all the white with accents of red. 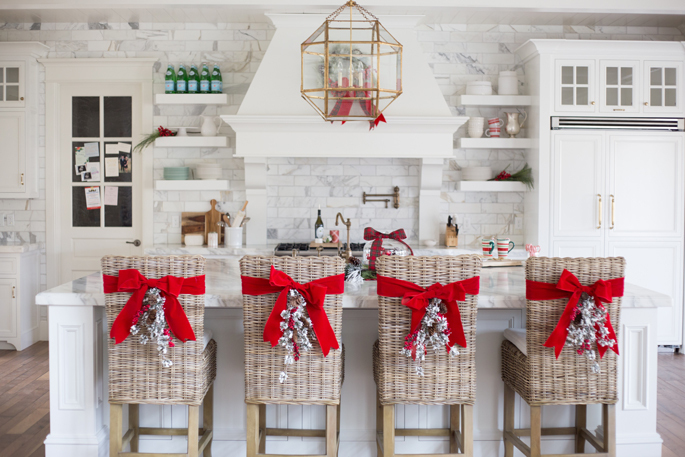 Loving your home all decorated for the holidays. 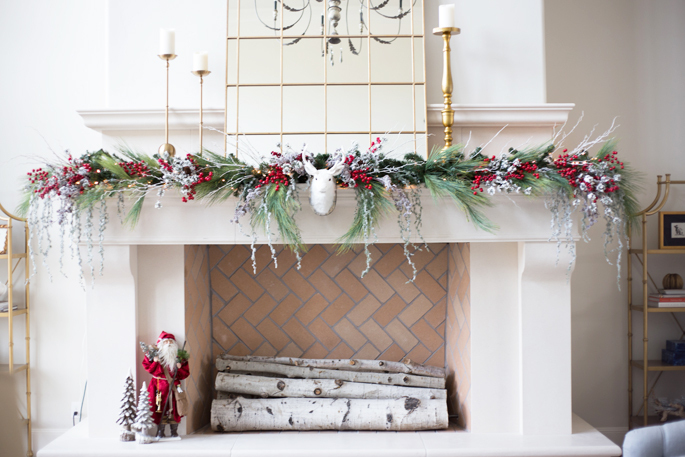 The mantel is gorgeous! Love your tree & the santa by the fire. All looks perfectly styled. Your home and decor are gorgeous!! 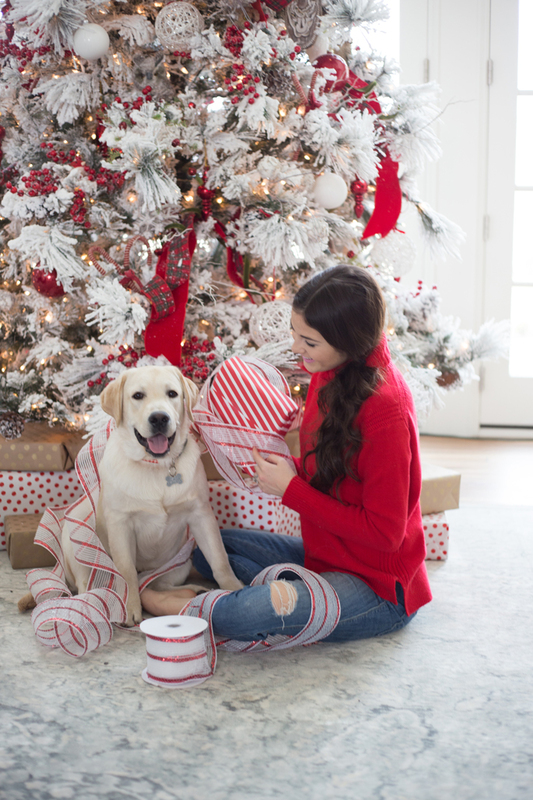 I love this post you have decorated your home beautifully and I love how festive you made each room I hope you have a beautiful Christmas! So beautifully! Everything just flows so nicely when you stick to a color scheme. 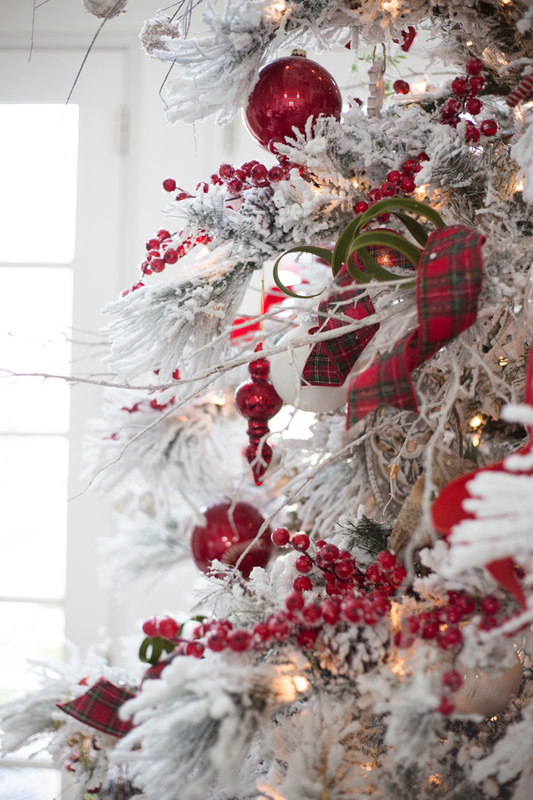 I love how perfectly “white Christmas” yours is, but with the gorgeous pop of red. You have such a beautiful home, I love your tree! Your house is STUNNING!!! I love how you decorated in red and white. Wow!!! Your home looks absolutely AMAZING! I can’t imagine how long it must have taken you, but it looks great. Thank you for sharing your home! WOW!! It looks amazing!!! I can’t imagine how long it took to do all of that, but it looks great. Thank you for sharing your home with us! Your home really is beautiful, you did a lovely job decorating for Christmas. 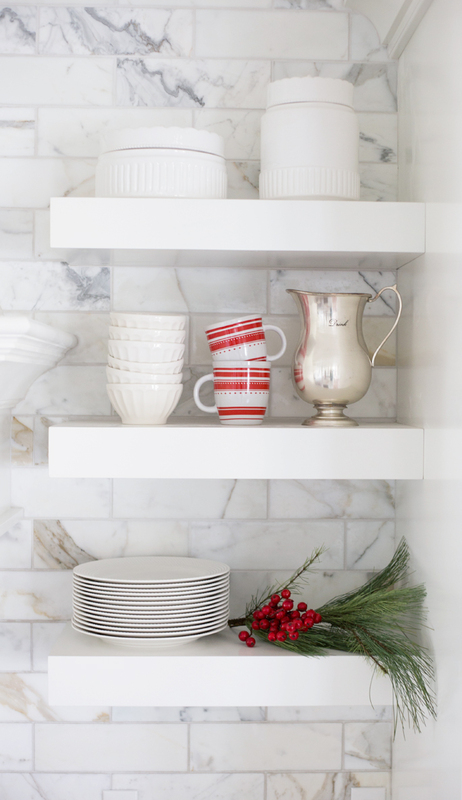 And I just love those red and white striped mugs, they’re adorable! this is so beautiful! love the classic christmas colors! Lovely pictures. Wish you a merry christmas! Merry Christmas! Beautiful photos. Love that Dasher is enjoying the holiday fun too. 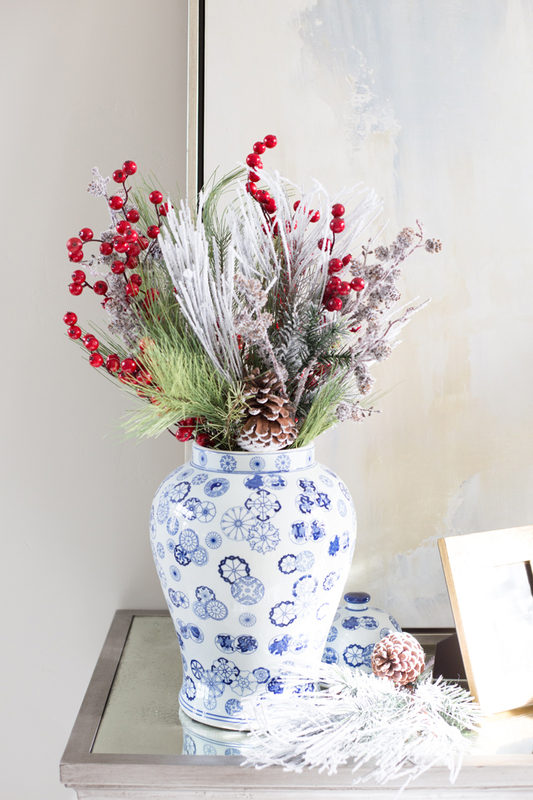 Love how festive your home is! So cute! Wow! It’s so festive and gorgeous! You did a beautiful job! 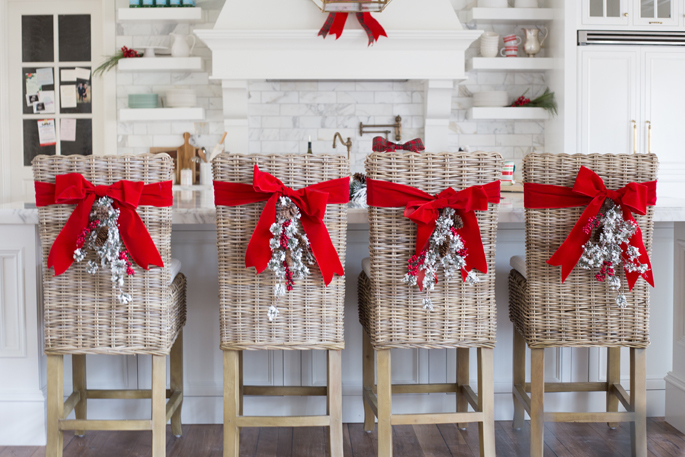 Love how festive your home looks! So cute! Your home is stunning. You have exactly the type of design style I love but are much better at putting it together! So please keep the home posts coming so I can use your home as my guide. 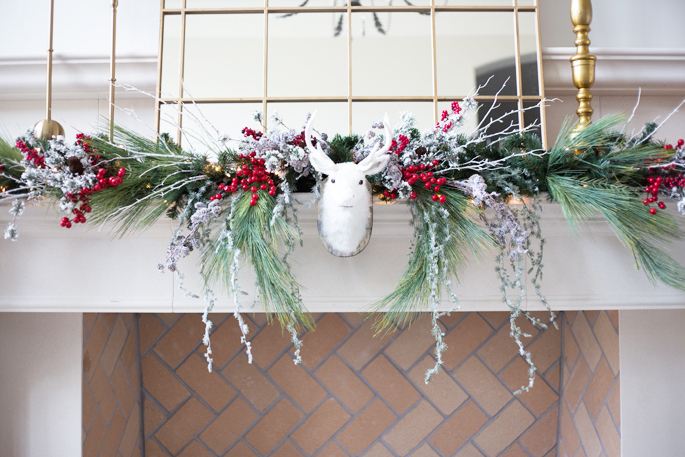 LOVE your holiday decorations! Your home is so elegant and classic I love the timeless pieces and use of reds and whites! I absolutely LOVE your home and all of your decorations for the holidays! Great timeless pieces and use of reds and whites! 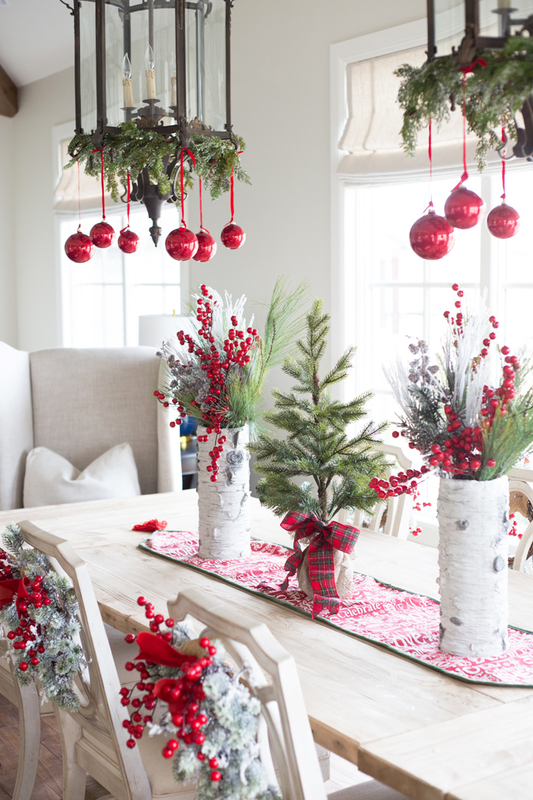 Great decorating – very festive! this is by far my favorite decorated home! looks amazing! Absolutely gorgeous! I wish my place looked like this! Love everything about this! Your home is so beautiful and it looks like it was MADE for Christmas decorations. So beautiful!!! 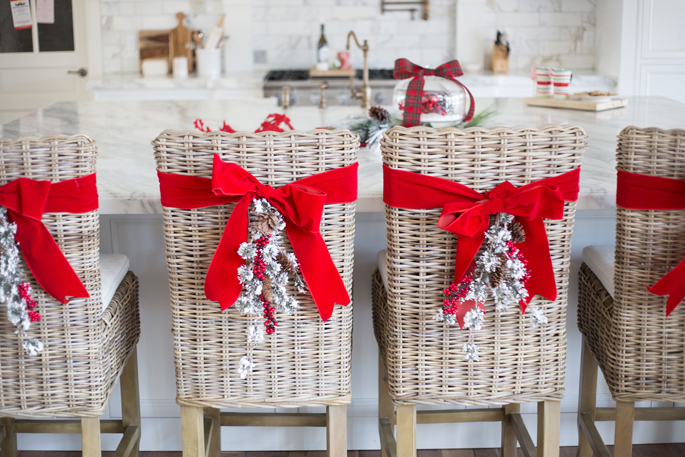 I love the red and white and how you decorated your chairs! So gorgeous!! Beautiful, festive, classy. 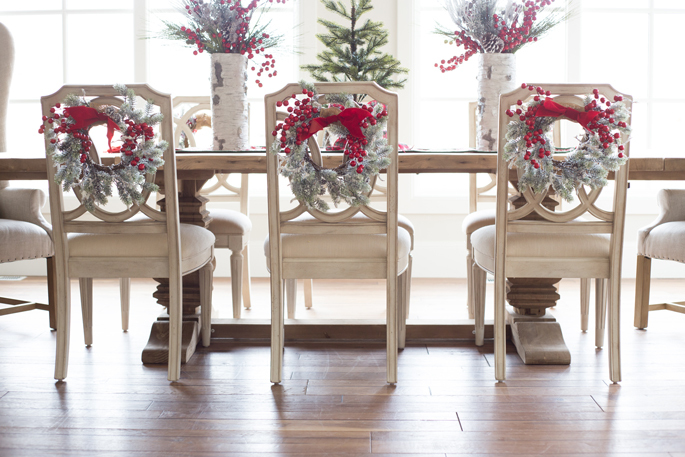 Any chance you can tell us where the dining room set is from? I love those chairs! Beautiful, classy, and festive. But I’m wondering- w here is your dining room set from? i love those chairs! Your house is seriously so stunning! Love all the holiday decorations! Absolutely stunning. Your decor is top notch! Beautiful! Very inspiring. Your taste is impecable! Your decorating is top notch! I can’t wait for Christmas eve myself. seriously it all looks amazing!! Unbelievably beautiful! So classically festive. Your home looks flawless! Bravo! Everything looks gorgeous! You did a great job! Flawless! I love all of the details. Your home could not be more beautiful! Your home is just BREATHTAKING. Love how festive it is. Such beautiful decorations! Love how beautiful everything looks! Beautiful décor! 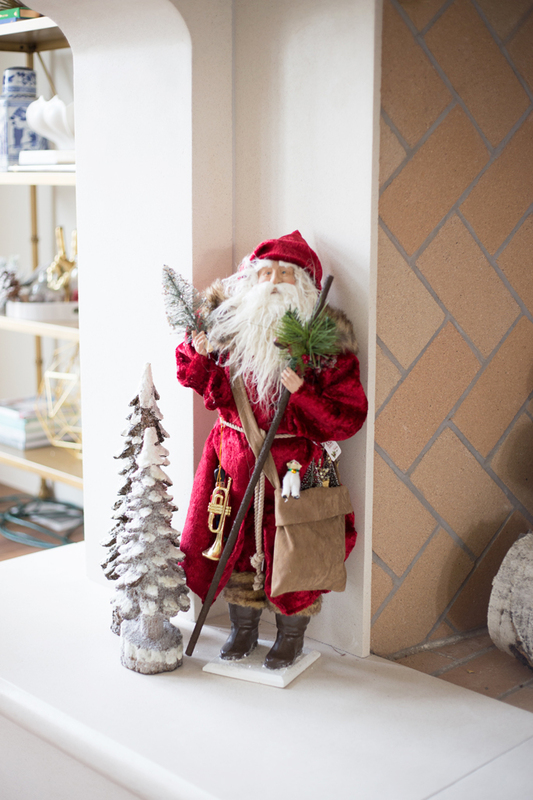 I love how festive your home looks! Your house looks wonderful. Like a Christmas fairy tale. woooowwoooow your home is amazing!!!! Your house is picture perfect!! Rachel you have such an eye….this looks right out of a magazine!!! I hope you are doing well with your pregnancy!! Your house if GORG!! I absolutely love how you decorated your house for Christmas! I cannot wait to get a house of my own so I can use your house as inspiration! OMG your house is amazing, you have great style! Your house is absolutely beautiful & I am so glad you got to decorate it for the holidays this year! It’s stunning and makes me wish I had decorated more! 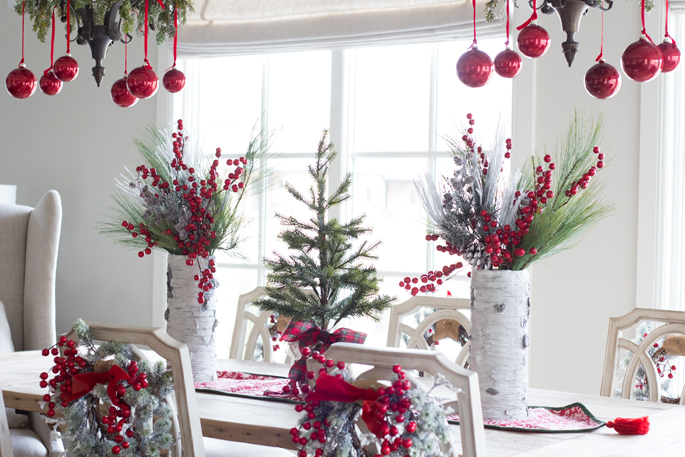 Love the red and white Christmas look, it is so beautiful and heart-warming! Absolutely fantastic Christmas home decorations on the overall, thanks for sharing! This is soo cute! I love everything about it!! What an incredibly beautiful and elegant home! Once I have a home of my own, I will definitely use the photos of your beautiful home as inspiration. 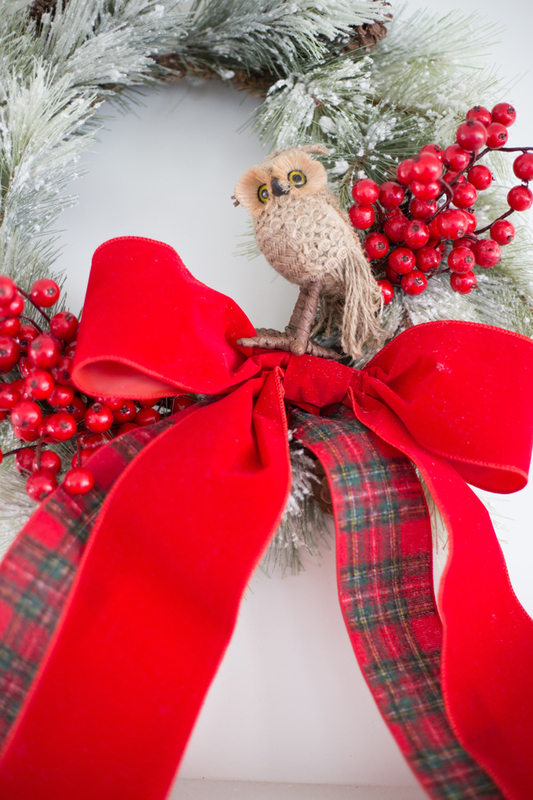 Your Christmas decorations are absolutely gorgeous! 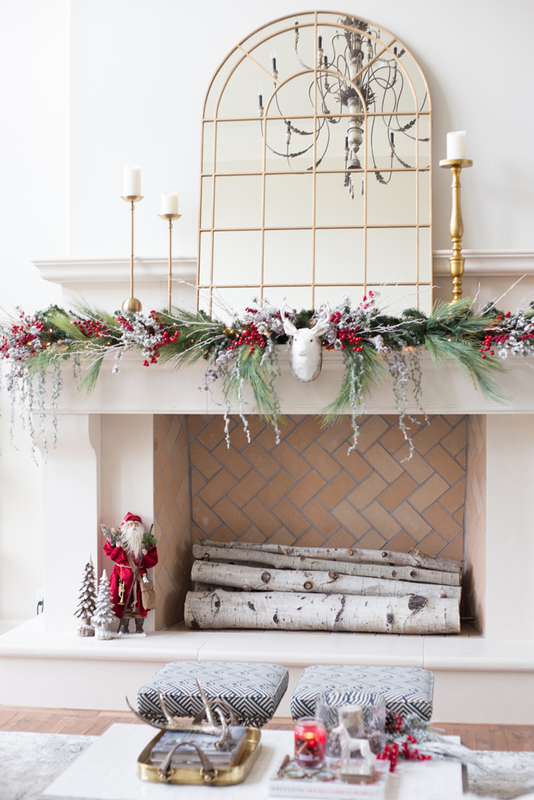 I especially loved how you decorated the mantle on the fireplace. This looks so incredibly perfect Rach! You have the best taste! Everything here is Pin-worthy!! Wow, you’re house is absolutely gorgeous! You are so blessed to live in such a beautiful home. Hi there, can you tell me where you got the cushions for your barstools? Thank you!! 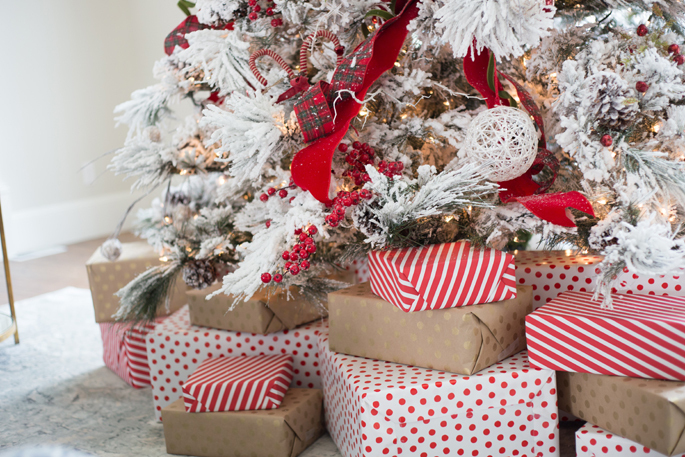 Is your tree real or fake? I love it! I asked on Instagram, but I don’t think I heard back. Thanks! Your home is beautiful! 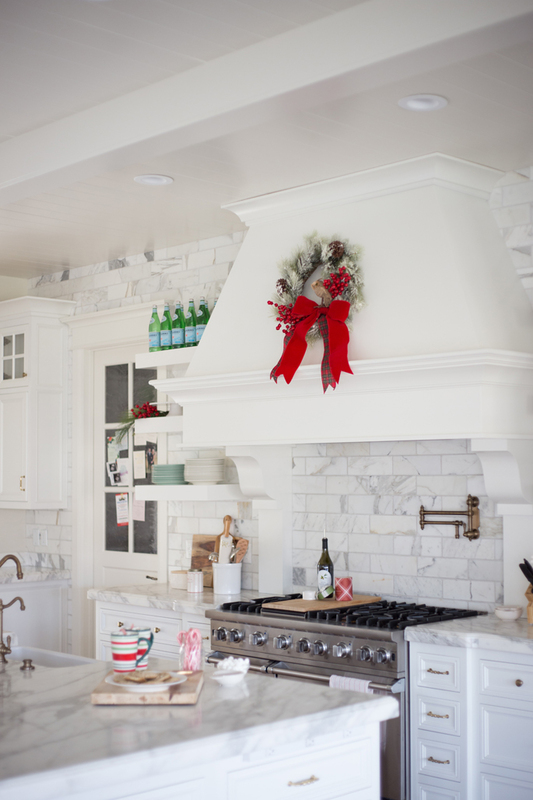 Can you tell me where you got the light fixture above your island? 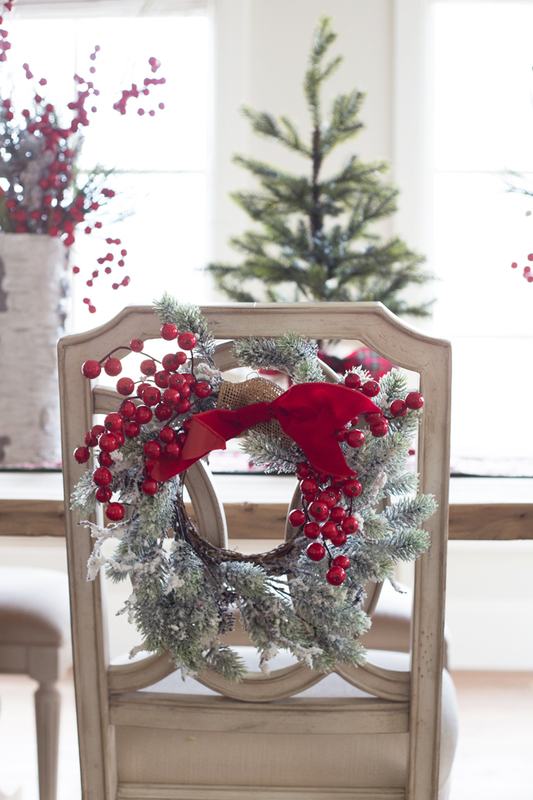 Do you mind sharing where you found the wreaths on the back of your dining chairs? What kind of Christmas Tree do you have? 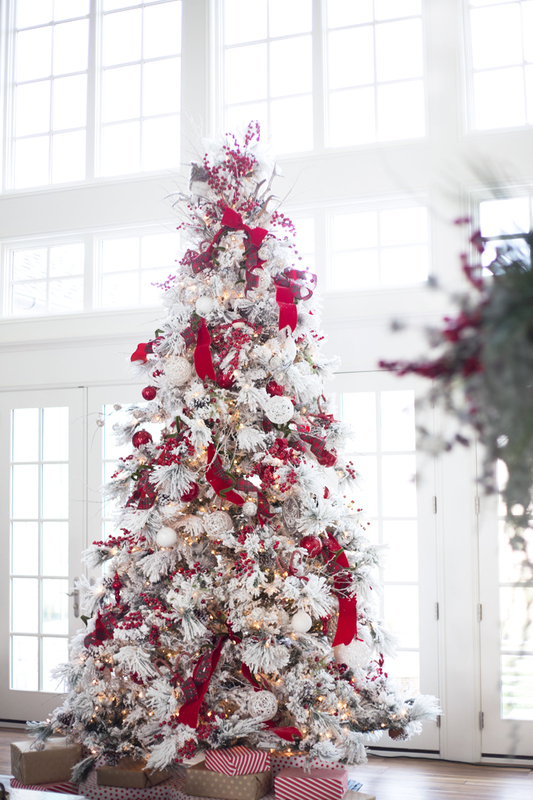 I am looking for a flocked tree this year and yours was beautiful last year. Thank you. I loooooooove the dining room chairs!! May I ask where you purchased them from?? Hi! What a beautiful kitchen!! Can you please share what name/type of countertop and backsplash that you have? Simply gorgeous! I am dying to know whERe that thin green ribbon Is from on Your Christmas tree? !